(Crocus) originated from Asia Minor and was used by the ancient Egyptians, Greeksand Romans, who considered it to be a sacred flower of the gods. It has always been used in sophisticated cuisine and for therapeutic purposes. La Valletta jealously guards the ancient rules for Crocus farming, which requires a lot of care during every stage, as it is an extremely delicate plant: in terms of planting, harvesting and storing. 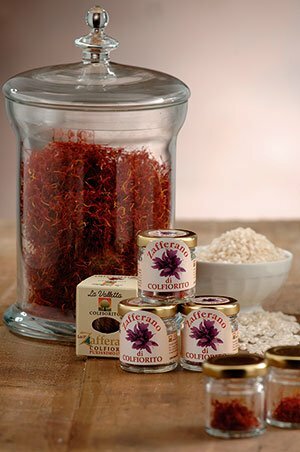 La Valletta pure saffron stems have a unique added value, the micro-climate of the Colfiorito plateau, making it one of the best quality saffrons in Italy.